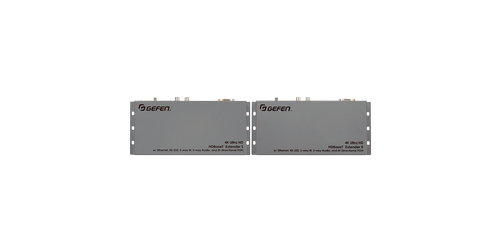 The Gefen EXT-UHDA-HBT2, a quality made HDBaseT 2.0 Transmitter and Receiver Extension Kit for HDMI signals with RS-232, 2-way IR and POH. 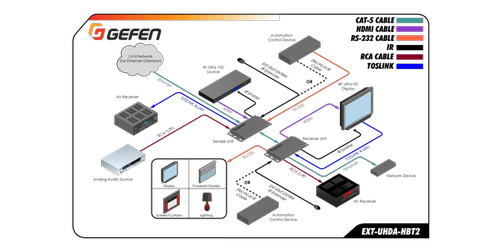 Using the latest in HDBaseT 2.0 technology, Gefen's extender kit, has the ability to send and receive HDMI signals up to 330' at 4K over one CAT-5e cable. It can also send 1080p Full HD and 1920x1200 WUXGA 8-bit video up to 495'. 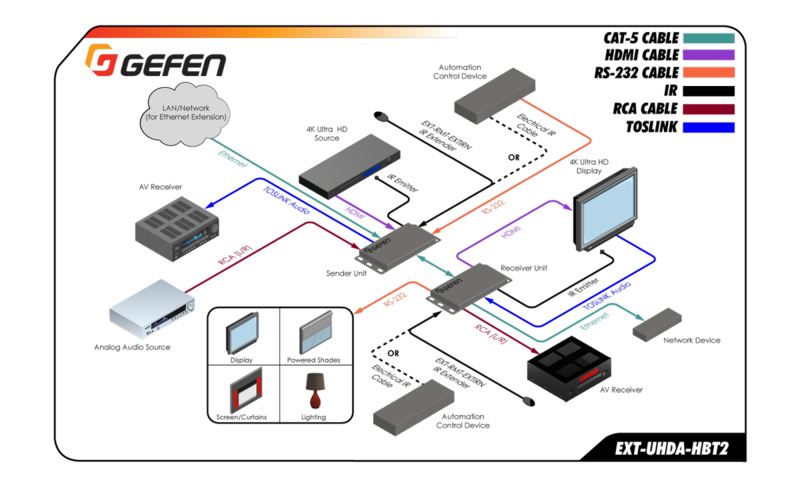 Using HDBaseT 2.0 and Colligo platforms will ensure and even more precise and resilient connection that the industry standard HDBaseT. Resolutions up to 4K DCI-Cinema (4096 x 2160 @ 30Hz 4:4:4) and 4K Ultra HD (3840 x 2160 @60Hz 4:2:0) are equally supported over this high-performance system. This device will also support 7.1 channels of LPCM and HBR (High Bit Rate) lossless digital audio including Dolby Atmos, Dolby TrueHD, DTS:X, and DTS-HD Master Audio are passed through. RS-232 and 2-way IR are transferred between the Sender and the Receiver to control the A/V source and the display. 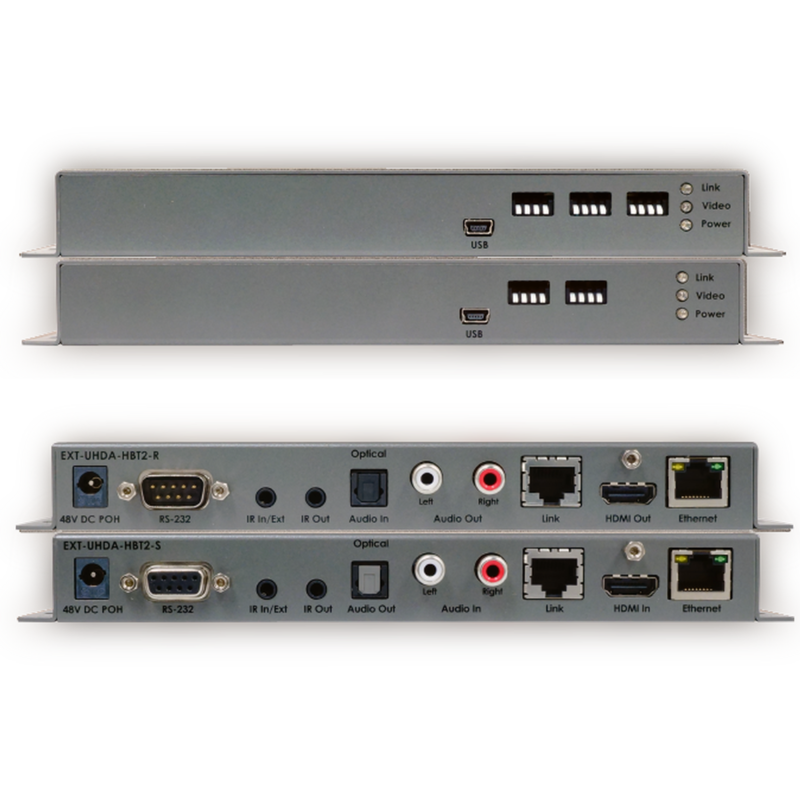 Making this a perfect kit to use in digital signage applications, conference rooms, and other high-end pro A/V solutions. 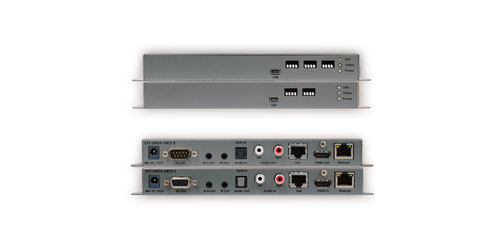 The EXT-UHDA-HBT2 extender kit uses Power over HDBaseT (PoH) technology to provide power to the receiver unit, using the same CAT-5 cable that extends the HDMI and control signals. When used with Gefen's Syner-G (free to download from Gefen's website) software with its powerful EDID Management capabilities it speeds up configuration times, performs real-time performance audits via Link Monitoring, and aides in simplifying in-field firmware updates. 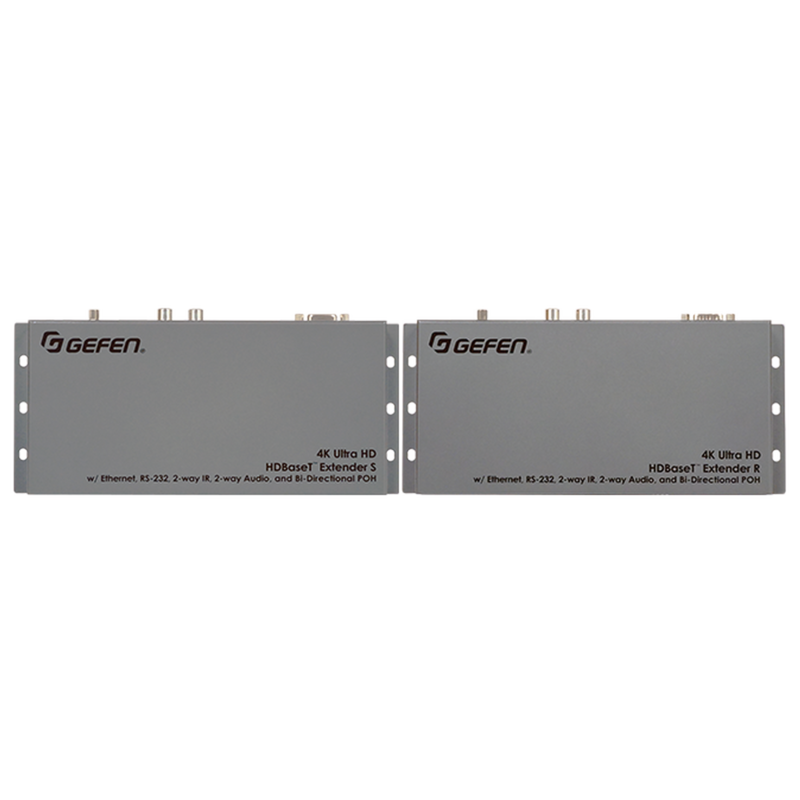 This very low-profile yet rugged system is surface mountable and the Sender and Receiver units can fit in tight places to accommodate the use of locking HDMI cables for secure connections. 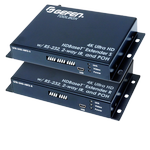 The Gefen EXT-UHDA-HBT2 is an affordable solution to reliably send your video, audio, and IR over economical Cat5 cabling while retaining perfect video quality. Comes backed by a 2 year warranty.